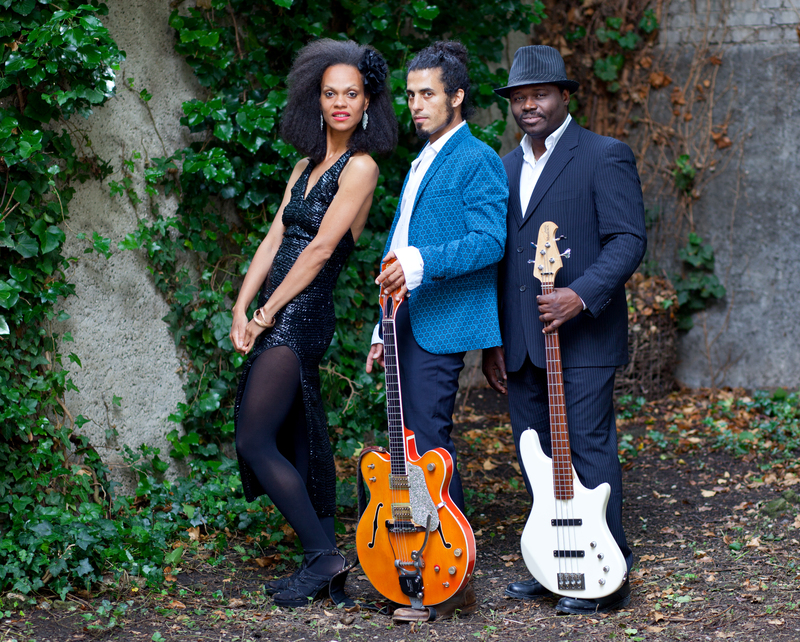 We are an acoustic and electric trio of vocals, guitar, lapsteel and bass. Our repertoire covers different styles of music from jazz to blues to pop. We have a great amount of experience as musicians and performers. We can adapt our concerts to your needs. We offer a lot of fun and exciting performances. We are happy to play for corporate events, wedding events and private features. We perform a variety of songs from artists such as Billy Holiday, Tom Waits, Gnarls Barkley, Aretha Franklin, Stevie Wonder, Al Green, Roberta Flack, Prince and many more..
Tatiana was born in the Ivory Coast, West Africa and has been travelling the world ever since; she spent her nomadic childhood and teenage years rediscovering new horizons from the West African continent to Europe. 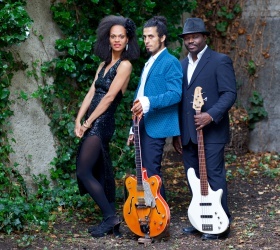 At the age of 20 she settled in London where she worked with various singers and musicians such as Keziah Jones – being his backing vocalist on the Black Orpheus album tour. Mick Jagger, Jamie Lidell,Gonzales,Lucky Peterson,Roy Dub with Christophe H Muller who is also one of the producer of the famous trio Gotan Project,Nuspirit Helsinki, The Five Corners Quintet and Shaun Escauffery are among the many others with whom she has worked. Tatiana now lives in Berlin. Gilbert was born to an Egyptian mother and a Swiss father. He started playing classical guitar at the age of nine. He studied guitar in the Jazz Department of the University of Music in Basel and in Paris and Arabic luth in Paris. He is a multi-instrumentalist and plays guitar, steel guitar, aoud (arabic luth) and banjo and performs many diverse styles of music. He is also a composer and is currently co-writing in the music project OKOU with singer Tatiana Heintz. Arcadius was born in Benin, played regularly in West African jazz clubs (CD „Wa bo wa se“ - Hot Music Dispatch 2001, CD „Mivodjo“ - Tossissa 2005) and with the West African Art Jazz Orchestra at festivals such as Massa in Ivory Coast and Saint Louis in Senegal. 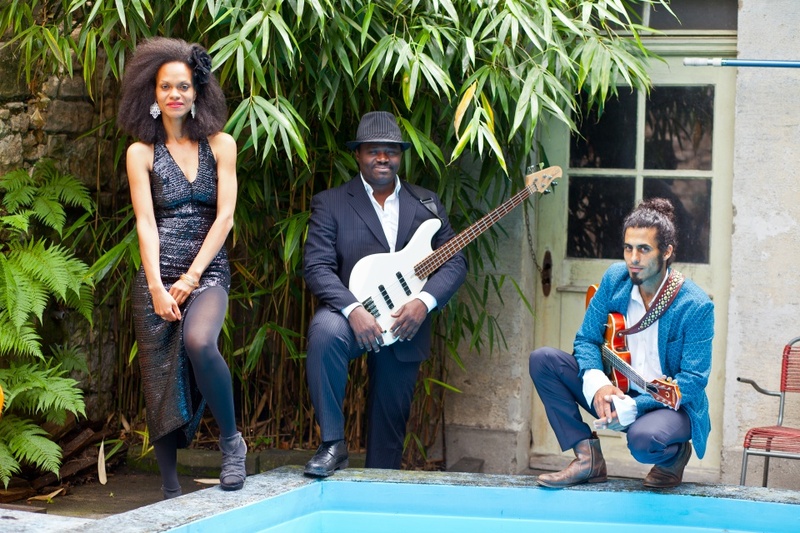 On bass guitar he accompanied Papa Wemba, Monique Sikka, Nayan Kabel, Hervé Mecheny, Margaret Pikes (Roy Heart Theatre), Rhoda Scott, Gilles Rennes and his childhood friend and compatriote Lionel Loueke. Since he moved to Berlin in 2006 the multicultural scene influences his manifold compositions. Besides bass guitar and double bass he sings and plays African instruments (Nyatiti-harp, double-Kalimba, Gogba) which he transforms in search of new sounds. In Europe he was on stage with Ramon Vallé, Aly Keita, Kossilate Republic, Abdourahman Diop, Afroberlin High Orchestra, Lito Bringas, Bettina Landmeier Quartett, Matthias Klause-Gauster, Mark Scheel and Sonja Kandels. 2012 he founded the Arcadius Didavi Quartett. Since 2014 he explores new styles with the Trio AFAFA.